If you are finding it hard to eat, you may be in search for herbs to increase appetite. Herbs are the most natural way to fix any problem and can be a tremendous help for this particular issue. In fact, it’s thought every sickness and illness has its own herb. They’re also much safer and more effective than drugs. In this article we’ll look at 7 different herbs that will aid you, common names, parts used, medicinal properties and description and uses for each one. We’ll also look at any precautions you should take when using them. As you will see, every herb listed will help more than just eating. Before we get into everything, let’s take a quick look at the different ways to prepare herbs and how to take them. There are many ways to take herbs and I’ll quickly describe a few of the most popular ways. Some require buying the herb and preparing it yourself. Don’t worry if you don’t know what to do, each preparation is extremely easy and I have written a detailed guide to help you. Another way to take herbs is to buy extracts, tinctures and capsules. Each way has their own benefits and you should experiment to find out which is best for you. Let’t get into some herbs. Description: This herb is known as a “cure all” because of all the sicknesses it helps fight and all the health benefits it possesses. This is one of the herbs you should have handy at all times so you can use it when various problems come up. And the list goes on and on. If you are set on getting one herb, this is the one because of its medical value. Description: You may know about ginseng from energy drinks; don’t worry if you think it will give you too much energy or has health risks. There’s a lot of other ingredients in those drinks that are responsible for that. It’s good with stomach troubles and constipation; when taken hot it will help produce perspiration which is necessary for health and can help in sickness. 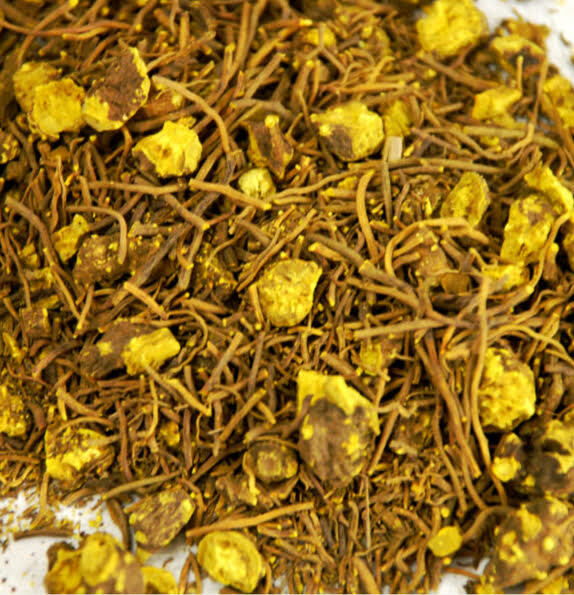 It has been used frequently in lung troubles and inflammations of the urinary tract as well. Ginseng has been used in China for thousands of years to treat all kinds of illnesses and is regarded as an aphrodisiac. It’s good for high pressure too. If you are taking capsules, take 1 a day. If you are using the powder take 1 No.00 capsule or 15 grains in water after each meal. 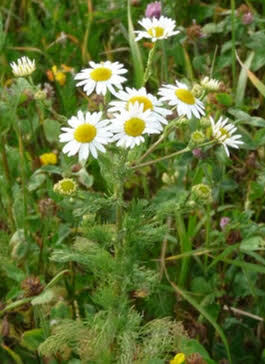 Common Names: roman camomile, garden camomile, low camomile, ground apple, whig plant. Description: This is a very well known herb and has been used in remedies for a long time. Apparently it was dedicated to the sun by the Ancient Egyptians for its treatment in Malaria. Like ginseng, it’s good for sores and eyes. As an ointment it’s good in bruises, sprains, callouses, or corns. DON’T USE DURING PREGNANCY. Take 1 capsule, twice daily. It’s a very good tonic and is very soothing. You can bathe cuts and wounds in it to make sure they’re clean. And it also helps with fevers, colds, gout, convulsions, and suppresses menstruation. You can take 1/4 to 1/2 teaspoonful of the powder in a cup of water 3 times a day, 30 minutes before meals. Beside helping stimulate appetite it helps with sores and eczema. An infusion of ounce of the herb in one pint of water can be used freely, a wine-glassful at a time. Common names: Mountain strawberry, pineapple strawberry, wood strawberry, common strawberry, wild strawberry. Description: This is the common, well known strawberry leaf that is in every garden. There is tremendous value in the leaf and if people replaced coffee with a tea made of the leaves, it would have a major impact on our collective nerves. Take one or two tablespoonfuls as an infusion. If you are looking to purchase the herbs you read about here, I’d like to recommend a great supplier. 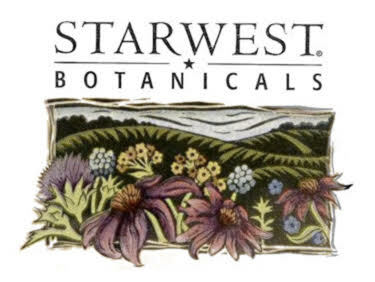 Starwest Botanicals has been in business for over 45 years and is one of the largest supplier of herbs and herbal products in the world. This is personally where I buy my herbs and there is a 100% satisfaction gurantee. Herbs are the safest method of treating illnesses and maintaining good health. When compared to drugs and pills, that are full of chemicals, it’s the far superior option. Look on the label of the average pill and you will see countless dangerous side effects; our body wasn’t meant to have those chemicals in our body. Every pill moves you farther and farther from perfect, natural health. Having said that, it’s very important to take the recommended dosage for the recommended time, or you can run into problems. If you use common sense you are in no danger. If you are giving to children, weak people, or the elderly, give about 1/3 to 2/3 of what is usually recommended. If you have a weak stomach, take spoonfuls until you can take the regular amount to avoid nausea. If you are pregnant make sure to do your research and to triple check if it safe for you. If you are looking to stimulate your appetite naturally, there is no better option than herbs. Anyone of the herbs discussed in this article will help you out tremendously and will give so many additional benefits. Please comment below if you have any questions, or have an opinion on the matter. Also, share on social media for friends and family to see. I have been used to herbal treatment since childhood. And your post has just reinforced the reason why it is a far more superior option than any of the chemical-based modern medicines. 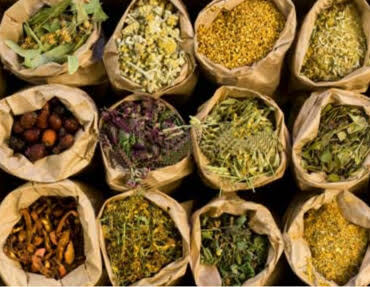 If we go by the belief and logic of natural healing has to be coming from herbs, then it is perfectly safer to try the recommended herbal remedy for most of our illness. Thank you for this post and the wealth of information you share with us from your website. I am loving this site. there are herbs for everything the bonus is that they treat a number of aliments and not just the ailment that your are trying to treat. Herbs to augment your apetite, who would have known.. brilliant. please do keep up the top class information. I love this site and I am going to read regularly. Do you have a newsletter or something? Thanks and I’m working on a newsletter and all that stuff. I had a pop up to register your email but it was bulky. Keep reading and I’ll have something up soon to receive emails and stuff like that. Amazing article on herbs. There are many herbs I am coming across for the first time. I’ve tried ginseng before in a supplement and found that it doesn’t give me energy but it sure increases the overall immunity. I am also interested in Balmony (Chelone glabra), looks like it will help strengthening my weak stomach. Nice work. Thanks a lot for reading! Ginseng is known as an immune system booster. You are welcome. Waiting for more awesome reviews. The truth is that people today are increasingly returning to nature and natural things. Indeed we are not aware of how nature provides us and helps. Your page demonstrates that to us very nicely. Believe it or not, some of us want to put on some weight. So, other than McDonalds, there are healthier ways. The preparations of these plants will help us do that and you are perfectly remembered to write us this article. It doesn’t have to only be for weight gain. Some people may be suffering from eating disorders or have no appetite when sick or recovering from an illness. These herbs can help if that’s the case. Thanks for commenting Ivana!